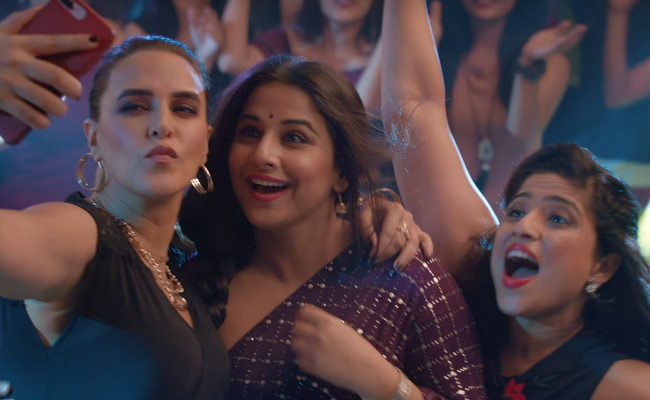 Tumhari Sulu Movie Review: It is not a perfect film, but it is definitely well worth a viewing as much for the quality of the acting. 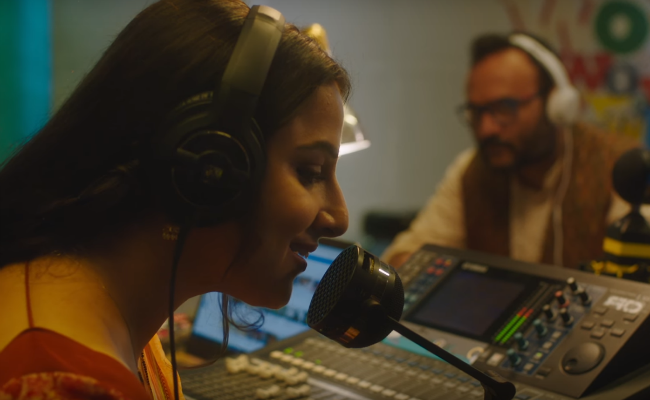 A lady cabbie (Trupti Khamkar) drives the titular protagonist - housewife-turned-radio jockey (Vidya Balan) - back and forth from her suburban Mumbai home to the studio. In a conversation, she reveals her back story. Her husband, who initially missed her greatly when she opted for a job that kept her out for hours, got so used to her absence that he eventually left her. Nary a hint of regret in her voice, the chatty woman happy being free and unencumbered. Just a thought: wouldn't the story of the taxi driver, had it been expanded, have been far more interesting and radical than the one that Suresh Triveni's big screen debut film tells? 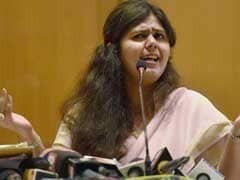 Her dreams and aspirations notwithstanding, the Tumhari Sulu heroine is suspended rather indecisively between assertion and compromise. She doesn't have a real go at dismantling the status quo. Not that the unlikely turn of events in the placid life of the spirited Sulochana aka Sulu of Jal Padma Housing Society, Virar isn't of import, but it seems somewhat familiar in plot terms despite the fact that it is on the FM airwaves, a universe rarely portrayed in Hindi cinema, that she finds her true calling. The job gives her a sense of confidence and achievement, but it does not inspire her to attempt a full-fledged rebellion. We have of late seen several Bollywood films about strong female protagonists thriving on defying expectations. Only the other week, in Ribbon, located in pretty much the same social ambience, it was Kalki Koechlin's turn to grapple with the daunting task of striking a balance between work pressures and home front demands. That is exactly the place that homemaker Sulu, materially comfortable and stable thanks to the supervisor's job her husband Ashok Dubey (Manav Kaul) has in a garment sweatshop, finds herself in when she is hired as a radio jockey and called upon to be her seductive best on air much to Ashok's consternation. 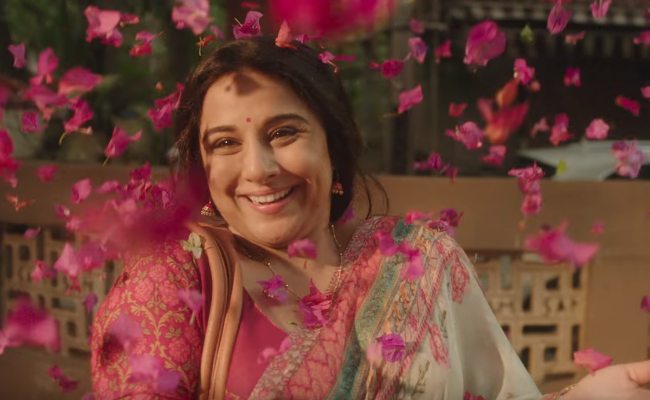 Tumhari Sulu is a decent enough film propped up by a wonderful pivotal performance from Vidya Balan, but parts of it - most notably the facile climax - scupper the possibility of it soaring to the heights that at times appear well within its reach. In addition to dutifully discharging her household duties, which include keeping homing pigeons from pooping on the clothes drying in the balcony, Sulu loses no opportunity to participate in neighbourhood competitions and keep count of her victories and near-wins. When it comes to introducing herself to the world, she, however, never appends her husband's family name to Sulu. She is simply Sulochana. 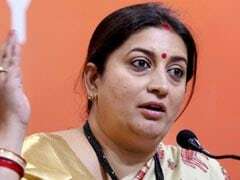 So it is a tad incongruous that the nameplate outside her home reads "Mr. and Mrs. Ashok". 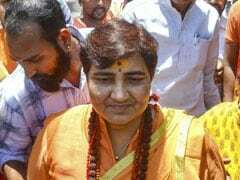 It should have been simply Ashok and Sulochana if it is the lady's individuality that the film is seeking to underline. Sulu and Ashok are, of course, no spring chickens. Ashok suggests that the couple should plan a sister for their 11-year-old son Pranav (Abhishek Sharma). Sulu is quick to point out they aren't young enough to make another baby. Interestingly, most of the songs that the couple croons - Batata vada (Hifazat), Zubi Zubi (Dance Dance) and, of course, Hawa Hawai (Mr. India), which receives a full-on party number treatment - are from films released in 1987. That sure is an indication of Sulu and Ashok's vintage. But as the radio channel head Maria (Neha Dhupia) exclaims the first time they meet, Sulu is a quick learner. She slips into her role pretty painlessly, but never ceases to be amused by the new-age colloquialisms she hears around her in the studio - what's up, chill, dude, bro - a fact that she shares with her hubby. Sulu's transformation from a happy-go-lucky housewife who preens at her success rate in all manner of insignificant pastimes - a lemon and spoon race, a sack race, a tug-of-war and radio contests for listeners - to a proud pro who uses her voice to stoke the nocturnal fantasies of lonely men is undeniably intriguing. 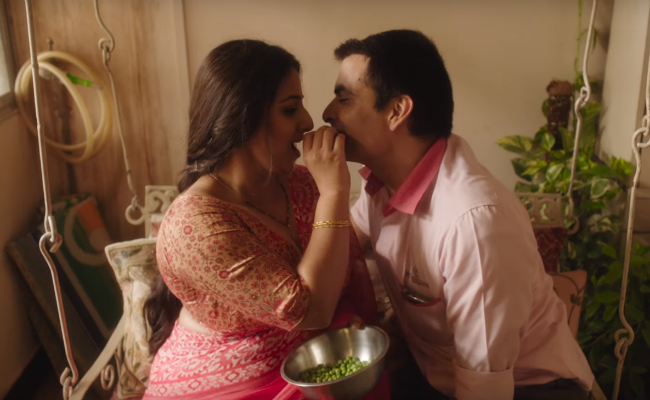 With Vidya Balan diving deep into the character and coming up with many moments of pure magic and a competent supporting cast led by the usually underutilized Manav Kaul contributing its mite, Tumhari Sulu, warts and all, is never less than watchable. It could have been an even better film had the second half not veered away from the delightfully tongue-in-cheek tone of the first, which follows the charming but somewhat impractical self-advancement plans that Sulu hatches, offering her husband a 50-50 partnership in every proposed enterprise, and her run-ins with her twin elder sisters Aradhana (Sindhu Shekharan) and Kalpana (Seema Taneja), dismissive of the high school dropout who seeks pleasures in trivial triumphs while devoting herself to looking after her husband and her son. It is making the abrupt tonal transition from the lighthearted to the somewhat melodramatic that Tumhari Sulu misses a few tricks, but director Triveni does have a way with the scenes that truly matter. Especially striking is the restrained treatment that he brings to bear upon a confrontation between Sulu and her scoffing siblings when a crisis precipitated by the former's son engulfs the family. The director takes no recourse here to shrillness or overt see-how-gutsy-this-woman-is grandstanding. A simple point is made forcefully as Sulu puts her foot down and refuses to budge from her chosen position. The scene conveys the strength of the steel that she is made of. 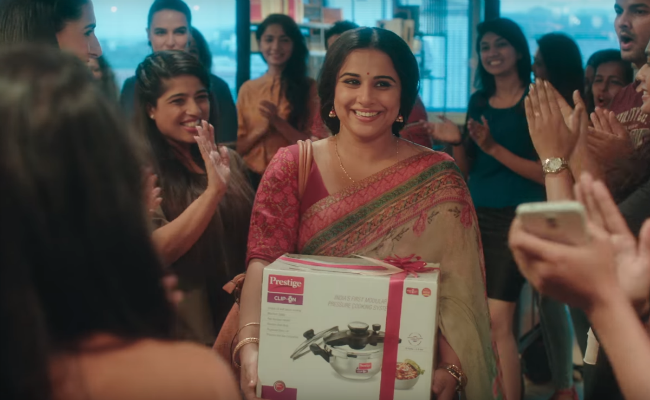 The elliptical editing by Shivkumar Panicker is strikingly effective, lending momentum to Tumhari Sulu even when not much appears to be happening on the screen by way of 'action'. Director of photography Saurabh Goswami frames real spaces within a lower middle class home as well as the cheerful but charged atmosphere in the much flashier interiors of the studio where Sulu works. 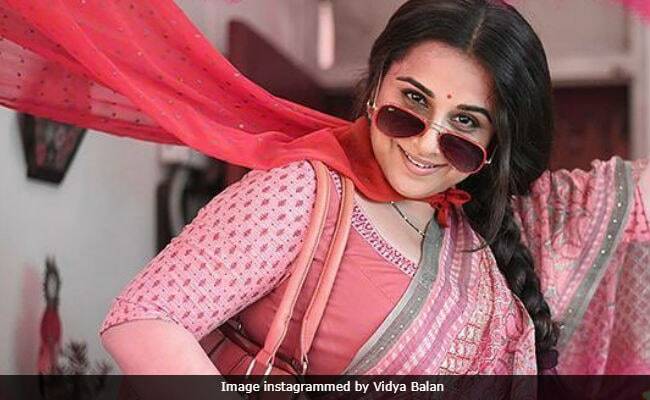 Vidya Balan is the heart and soul of Tumhari Sulu, but the film also benefits immensely from the performances of the other cast members. Besides the impressively natural Manav Kaul, Vijay Maurya, cast as a poetry-spouting RJ who has to surmount initial misgivings before he mentors Sulu, gives the role his best shot. Tumhari Sulu isn't a perfect film, but it is definitely well worth a viewing as much for the quality of the acting and for its technical finesse. In any case, a film is easy to fall in love with when Vidya Balan is this stupendous.